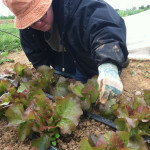 Thank you for your interest in our Community Supported Agriculture program. 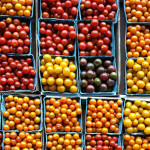 CSA is a unique option for people seeking fresh, local and seasonal produce for their table. 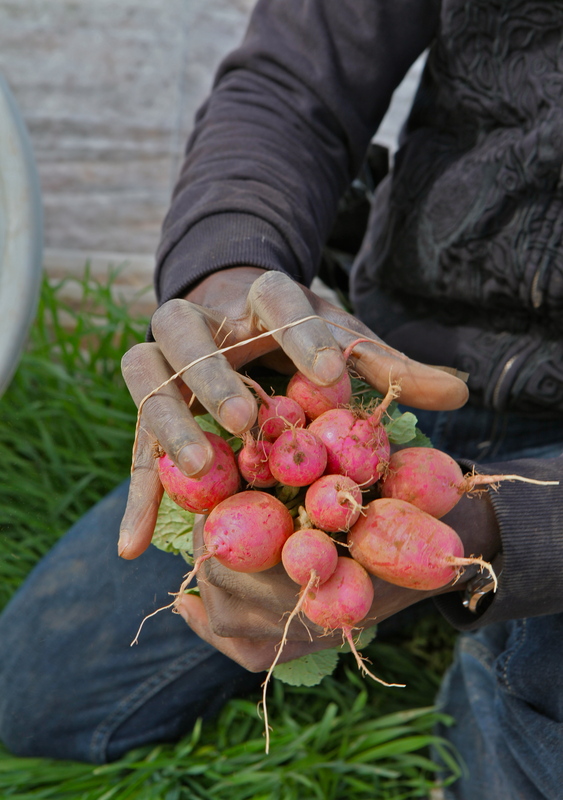 By investing in our CSA you are also investing in the sustainability of farming, food, the local community, and our programs here at Red Wiggler. CSA members bring their compost to the farm each week where their waste helps to create fertile ground for next years crops. Our CSA is a great way to get outdoors with your family each week, eat healthier, diversify your diet, get to know your community and support your local non-profit farm. Questions? Take a look at our Frequently Asked Questions or contact us directly. Our CSA is about learning and community building. We have run a successful CSA in Montgomery County MD since 1996 and are the longest continuously running CSA in the county. 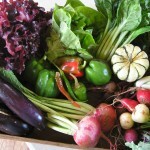 Our CSA has grown gradually from 12 “shares” in 1996 to 120 “shares” today. Many members return year after year. Our happiest customers live nearby (within 15 miles) or join up with neighbors who rotate pick ups. In general, if you enjoy cooking and tasting new things you will have a good experience. We encourage CSA members to treat their season like they would a continuing education experience. 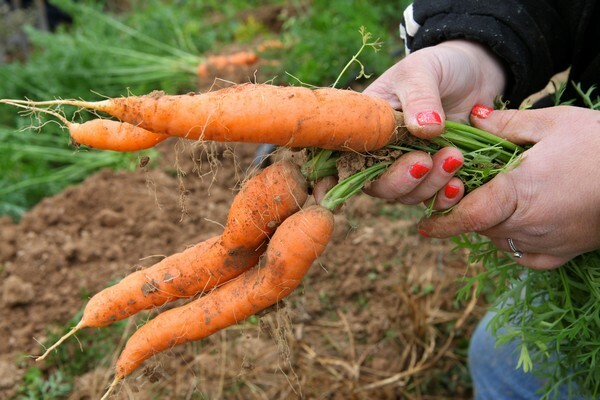 Try a few new veggies, use our weekly newsletter to learn new ways to prepare your summer standbys, get to know our Growers and ask them how they like to prepare kohlrabi or hakurei turnips. 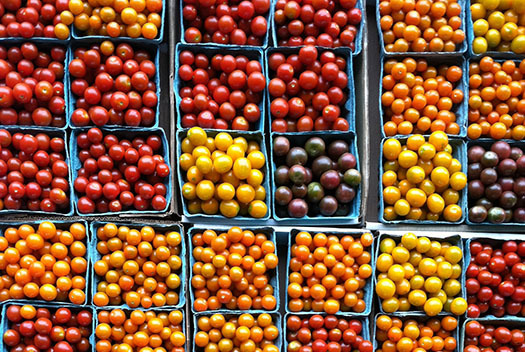 Our CSA is the backbone of our mission and core values. We create meaningful employment for adults with developmental disabilities. This is why we were formed and it is at the core of everything we do. The jobs created by the CSA enable our activities at Red Wiggler to thrive. Additionally, 30% of the CSA consists of low income households. Please take a moment to look over our entire web site. Our vision is to create fertile ground to nourish a healthy and inclusive community. At this time we are actively seeking to ensure that low-income adults with developmental disabilities are included in our CSA program. 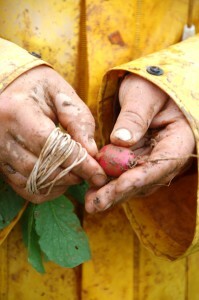 The CSA is integral to our mission and our core values are imbedded in our CSA program.